buscada 1ª edic org usa !! 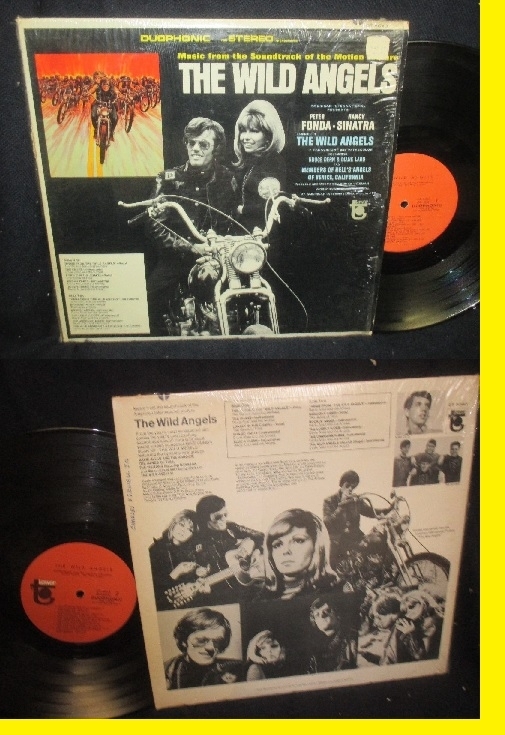 siempre buscada banda sonora con temas de Davie Allan the Arrows y dirigida por roger coman. realizada 3 años antes del otra mitica pelicula como fue Easy Rider sobre las motos, una road movie con peter fonda cn los temibles angeles del infierno que ya a pasado a la historia del genero. ES POSIBLE QUE MUCHOS NO CONOZCAIS A DAVIE ALLAN, AUNQUE TAMBIEN ES MUY POSIBLE QUE LO HAYAIS ESCUCHADO SIN SABERLO, PUES SU MUSICA ENGROSO BUENA PARTE DE LAS BANDAS SONORAS DEL CINE ADOLESCENTE DE MEDIADOS DE LOS 60's, LAS LLAMADAS TEEN MOVIES, Y SOBRETODO ACOMPAÑABA EL RUGIR DE LOS MOTORES EN LAS MAS NOTABLES PELICULAS DE MOTEROS DEL MOMENTO, DESTACANDO WILD ANGELS CON PETER FONDA. ESTA ANTOLOGIA DE 2004 RECOGE BUENA PARTE DE LOS SINGLES QUE DAVIE ALLAN FIRMO JUNTO A SU PRIMERA Y MAS CONOCIDA BANDA, LOS ARROWS, ENTRE 1965 Y 1968. Providing the soundtrack to numerous biker and teen exploitation movies in the mid- and late '60s, Davie Allan & the Arrows bridged the surf and psychedelic eras. Their driving, basic instrumentals featured loads and loads of fuzz guitar, as well as generous dollops of tremolo bar waggling and wah-wah. The guitarist and his band first made their mark with the minor hit "Apache '65,"
RARA B.S.O. ORG. EDIT. USA !! GARAGE !! COLLECTORS !! 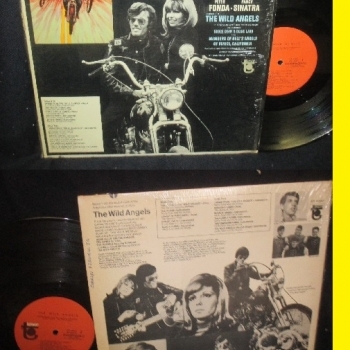 Music from the soundtrack of the film The Wild Angels, starring Peter Fonda, Nancy Sinatra, Bruce Dern, Diane Ladd & members of Hell's Angels of Venice, California. Film produced & directed by Roger Corman. 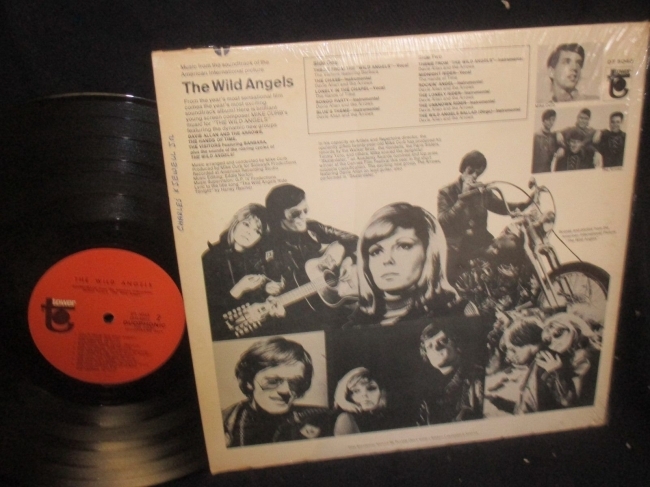 Features "the sounds of the roaring cycles of The Wild Angels!" Recorded at American Recording Studio.